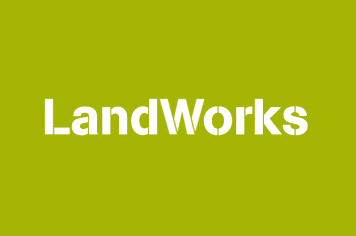 We do get a lot of questions about LandWorks, it’s no bad thing and I thought you would be interested in a selection…. I can assure all concerned parties that our poultry are just fine! Yes, I do agree it looks like the equivalent of 24hr lockdown and very like prison conditions, a point not missed by some of the men here but we are doing our bit to avoid avian flu. Thank you, yes, the Christmas Quiz was a great success. It seemed to be the perfect balance of testing questions, getting many people interested and it raised over £1,100. If you haven’t seen the answers yet, click here to view them on the website. How many men do you have now? We currently are averaging 7 per week. The match funding seems such a wonderful idea, is it too late to join? The match funding has been a great success, encouraging many new people to regularly donate. You are of course welcome to sign up to make regular donations at any time. However, the match funding sensibly had a time limit and we have reached a total of 20k of matched funds. Why can’t I buy fresh rhubarb from your stall? Err, it’s a bit too early in the season. Can I just pop in? Well, it’s tricky. As much as we love getting visitors, unannounced visits can cause all sorts of problems, from risk and security to interrupting the day’s work schedule. The best way to visit is to join us for lunch, so much is gained from eating communally and chatting together. Click here to book a place. When is your next open day? This year it will be on Friday 18th August 12pm – 2pm… Keep an eye out for more information! Can I help? Yes deffo. There are many ways to help, such as financial support, providing advice on a specialist subject (early rhubarb growing perhaps) and become an employer for a LandWorks trainee? Is there anything new on the horizon? Yes, we are going to hold a series of LandWorks fundraising suppers throughout the year, a chance to dine at Quarry field, hear all about the project and meet other supporters. Again, more info soon! What are you spending the money on? Well, we have recently been equipping the workshop with new machinery, to allow greater production of wood products to sell. We are also investing in a new poly tunnel, to provide more early crops, perhaps even early rhubarb! Are your statistics still good? Yes, we have maintained the employment rate of 93% and a reoffending rate of below 4%. Weddings and babies are not comparable with Ministry of Justice stats but great indicators of people settling down and we have 3 (weddings) in six months. Do you need manure? Yes, thank you, always.